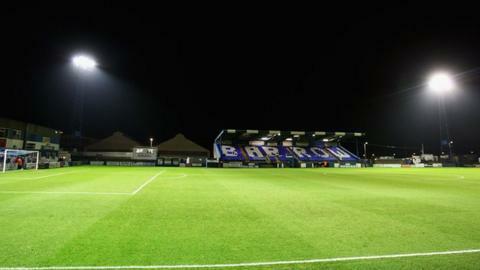 Midfielder Mike Grogan scored twice as AFC Telford eased to a comfortable victory over Barrow at Holker Street. Grogan put the Bucks ahead on 14 minutes when he appeared to be in a clear offside position, but the match referee allowed the goal to stand. Liam Watson's team were in control of the game for long periods, keeper Ryan Young not having to make a single save. But it was not until the 87th minute that Grogan fired the second before Tony Gray's injury-time free-kick. Telford stay sixth, but are now just one point off the top of the Conference North table.